Just when you think L'Oréal Paris had a great skincare year in 2013, boom, 2014 is even better. With the release of this new line of Sublime Cleansers, they want women to feel pampered about cleansing. Sublime Soft is designed for dry and sensitive skin. "It contains D-Panthenol, an active soothing ingredient, that optimizes hydration levels in dry and sensitive skin". This line comes with the Sublime Soft Gentle Micellar Solution, the Sublime Soft Soothing Cleansing Wipes and the Sublime Soft Soothing Gel Cream Wash. This line in particular has got me oooh and ahhh for months... The reason? 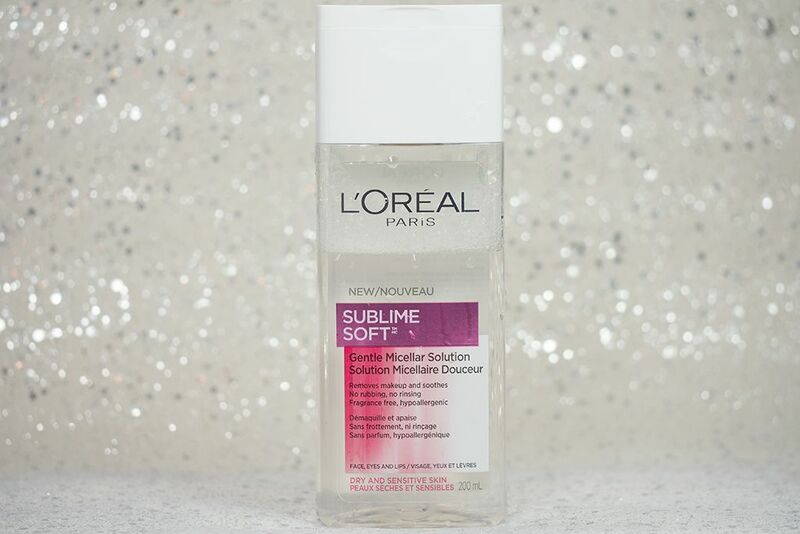 The Sublime Soft Gentle Micellar Solution. This came out in Europe months ago that I tried to get my friend to bring me one from Europe, although unsuccessful. So imagine how excited I was when I found out it's coming to Canada. Is it as good as everyone hyped it up in the UK? Short answer, YES! It removes makeup effectively and it's ultra gentle to the skin. For eye makeup, I like to place a saturated cotton pad on my eyes for about 10 seconds before gliding it off to avoid having to rub my eyes. I have oily skin but I sure can use some of this micellar solution. It is the closest dupe I have come across to Bioderma, and it's so much more affordable! 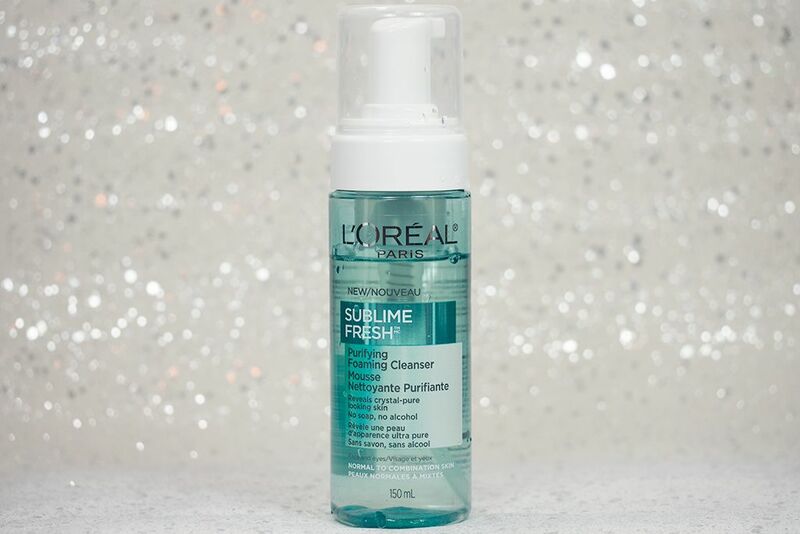 Sublime Fresh is formulated for normal-to-combination skin. It contains Salicylic Acid to help fight against bacteria and purify the skin leaving skin feeling refreshed and clean. This line comes with the Sublime Fresh Purifying Foaming Cleanser, the Sublime Fresh Purifying Cleansing Wipes, and the Sublime Fresh Purifying Gel Wash. When am I in a rush? Every single morning. 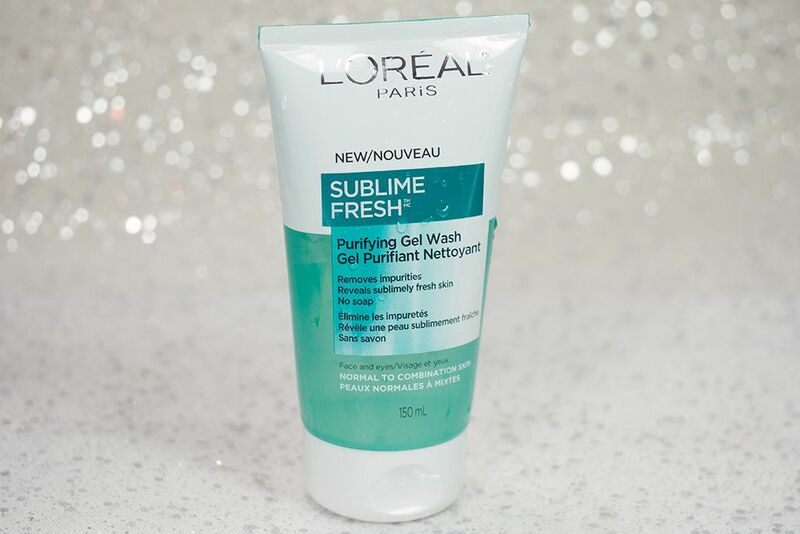 So Sublime Fresh Foam Cleanser is right up my alley because it's quick and easy to use. The foam itself is very soft and creamy, you only need one pump for the entire face. It has a fresh cucumber scent that helps you to wake up. And it doesn't contain soap or alcohol so my skin doesn't feel dry after using it. As for the Gel Cleanser, I prefer to use it at night to deep clean the skin. Like the Foam Cleanser, it has a fresh scent and it leaves skin feeling refreshed and not drying. However, I would follow up with a good moisturizer for both to keep my skin moisturized. Sublime Radiance is most suitable for dull and tired looking skin. "It is formulated with L'Oreal's patented Lip-Hydroxy Acid (LHA) that gently exfoliates and stimulates epidermal renewal — while respecting the skin's integrity to help make skin look more radiant and rested". It comes with the Sublime Radiance Sensational Cleansing Oil and the Sublime Radiance Revealing Exfoliator. The Sublime Radiance Sensational Cleansing Oil is one of the first mass market cleansing oil. To use it, you massage the Cleansing Oil on dry skin to dissolve the makeup, and then, to cleanse it off, you will emulsify with water and rinse it off. I don't notice a scent to this product. It does a good job at removing makeup, even Lancôme Artliner 24H, but sometimes you might need to go back a second them to remove the tough waterproof mascara. I suggest to leave the cleansing oily on your eyes for a little bit longer before rinsing it off to make sure it melts the mascara down. However, only gently massage it because you want to avoid lash breakage and fine lines. No matter your skin type, you sure will be able to find a cleanser in the L'Oreal Paris Sublime Cleansers range. 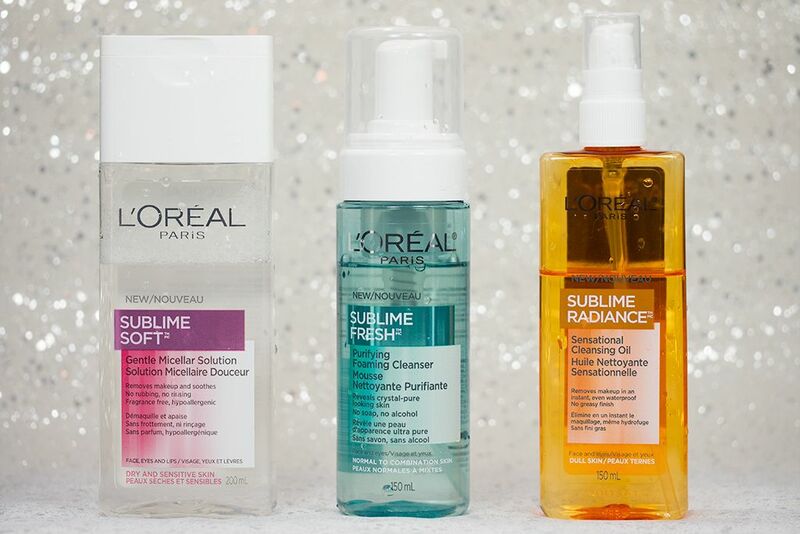 The star products to me in this line are of course the Sublime Soft Gentle Micellar Solution and the Sublime Radiance Sensational Cleansing Oil. I feel that these two are great makeup removers for different skin type. I for one use both even though I have oily skin. They are all available now at your local drugstore. My friend Emily from This Was Forever has spotted it at Walmart, so you know where I'll be buying my backups! To enter, simply follow the Rafflecopter widget. Open to Canadian residents only. I've been obsessed with getting my hands on the micellar water! It's finally here! I've heard really great things about this. L'oreal has become one of my recent obsessions!